If John Idzik does not address the cornerback position this week for the New York Jets he needs to be removed from the organization immediately. What is happening in New York is ridiculous. After failing to resign Antonio Cromartie or bring in an outside free agent cornerback, John Idzik has instead left both Rex Ryan and the New York Jets franchise out to dry. 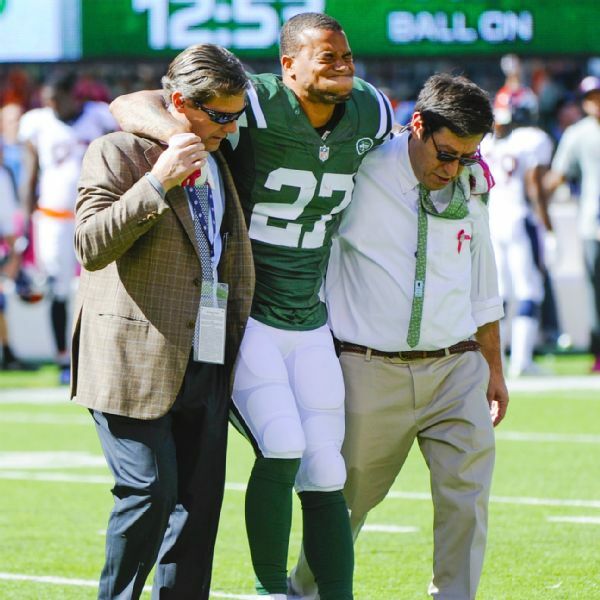 After Dee Milliner’s ruptured achilles this past weekend, the already thin cornerback position is now barren after New York’s top three cornerbacks on the depth chart are now gone. Dexter McDougle, a high Idzik draft pick, is out with an ACL tear and Dimitri Patterson went awol. Even if Idzik hasn’t purposefully tried to out Rex Ryan with an insufficient lineup, the fact that the rumor can exist is because of his actions as general manager. The Jets currently are $24 million dollars under the salary cap right now, the most in the NFL. Idzik, you can honestly look a Jets fan in the face right now and say you are doing everything you can with that much cap space available? If John Idzik doesn’t sign a legitimate starter, and no Josh Thomas doesn’t count, then he deserves to be fired after the New England Patriots game. Who cares that the Jets are 1-5, if Idzik doesn’t sign a veteran player, which he should have done weeks ago, then he is basically giving Rex Ryan and Jets nation the middle finger by saying that he doesn’t care about this season. There are plenty of options out there. Asante Samuels, Terrell Thomas, Jabari Greer, and Quentin Jammer are veterans who may be out of their prime, but at least are upgrades over the current roster. Darrin Walls and Antonio Allen have both given valiant efforts but they are out of their element. At best, Walls is a slot corner or a third or four option on the depth chart. Allen, on the other hand, is a versatile role player but is better suited to play safety. Listen, the Jets have many problems and while Geno Smith and Rex Ryan haven’t helped in 2014, the person to blame for the Jets disaster is Idzik. 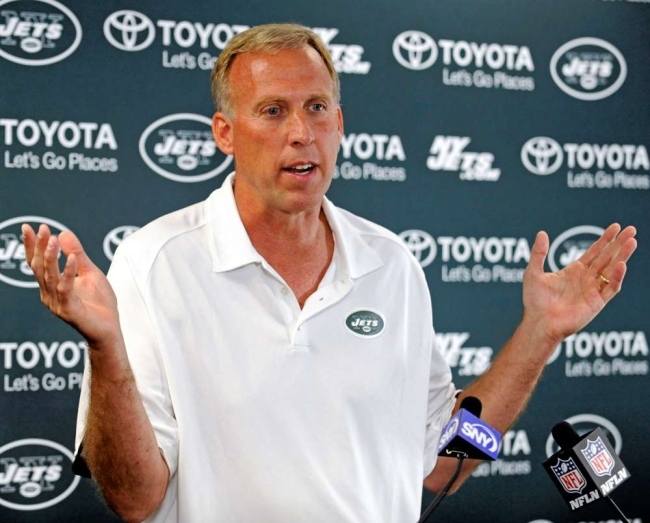 What has John Idzik done for the Jets outside of drafting Sheldon Richardson? Let’s look at the 2013 Draft. Dee Milliner can’t stay on the field and he passed on Chance Warmack who could have helped shore up the woeful offensive line. He selected Geno Smith in round two, who the Jets organization maybe looking to move on from at the quarterback position at the end of the season. Idzik then proceeded to draft three offensive linemen in a row. Brian Winters has been a turnstile at left guard, Oday Aboushi will finally get a start this week, and William Campbell is gone. Not to mention in round three the Jets passed on wide receivers Terrance Williams and Keenan Allen, two receivers the Jets could have really used. In 2014, Idzik once again said the Jets would build through the draft adding only Eric Decker, Michael Vick, and Chris Johnson in free agency. In Round one he took a very promising safety in Calvin Pryor, who has been a solid player. However, the Jets could have selected either Kelvin Benjamin or Brandin Cooks who have both become very good play-making receivers and who could have helped Geno Smith develop. After a good pick in Jace Amaro in round two, the Jets draft feel to shambles. Once again Idzik drafted a cornerback with a history of injuries in Dexter McDougle who couldn’t even make it through training camp. Oh the next pick? Gabe Jackson who is establishing himself as a great young guard with the Raiders. Then instead of trading up in the draft with the plethora of picks in the draft, Idzik stood pat and it looks that costed the Jets. Out of the last nine picks, five are no longer in the organization with only Trevor Reiley and suiting up for all six games. When you wanna build through the draft it doesn’t help that out of 19 picks in his tenure only six are starters while another six are no longer in the organization. While Rex Ryan will probably be fired at the end of the season, there is no question that Idzik especially after the recent slew of injuries does nothing to help the team at the cornerback position, deserves to get the boot. It’s going to be a long season for New York, but if it wants to head in the right direction for 2015 it needs a new general manager who cares about the team calling the shots. Previous Down With the Ship! Will Rex Ryan’s Faith in Geno Smith Cost Him His Job?